HTC isn't going to get its big reveal next month – it looks like the new HTC One (or whatever they call it) is going to be old news by then. This time we have a new press shot from @evleaks of the device with AT&T branding. The new One has a more rounded aluminum design and dual cameras on the back. The AT&T logo matches the branding used on many other devices – including the completely unnecessary status bar text. 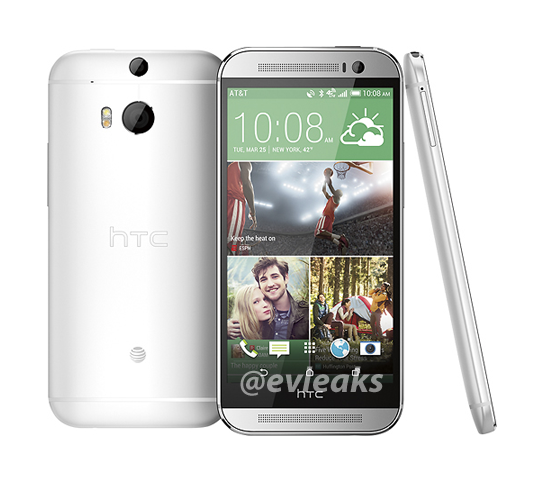 Other than that, it's the same updated HTC One we've caught glimpses of already. HTC has hinted the new One will be announced on March 25th.